A brilliant design from our collection of family and friends quotes to decorate your kitchen and obtain a lovely atmosphere. 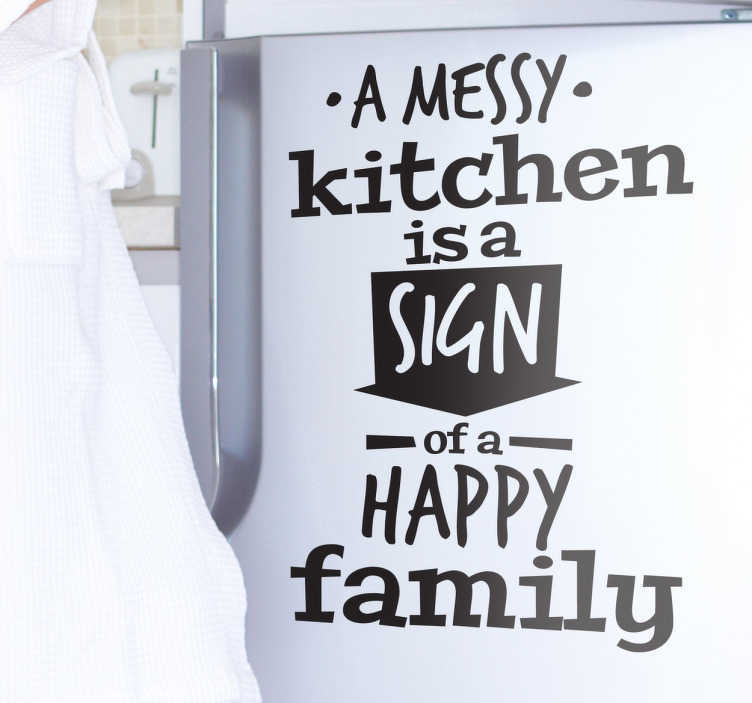 This text sticker will give your kitchen a fantastic appearance and your family will love it. It will also explain why your kitchen might be messy! You can place this decal on any smooth surface such as on your wall, fridge, etc. An original family wall art decal! This Messy Kitchen design is available in various colours and sizes. Made from high quality, easy to apply and remove.